We consider your life rocks as the things you are juggling and have worked them into 8 main areas of life. Your faith, being a wife, mom, your career/work, health, finances, home duties, and lastly, friends & fun. In this episode, we are focused on helping you grow with friendship and fun through intentional living. 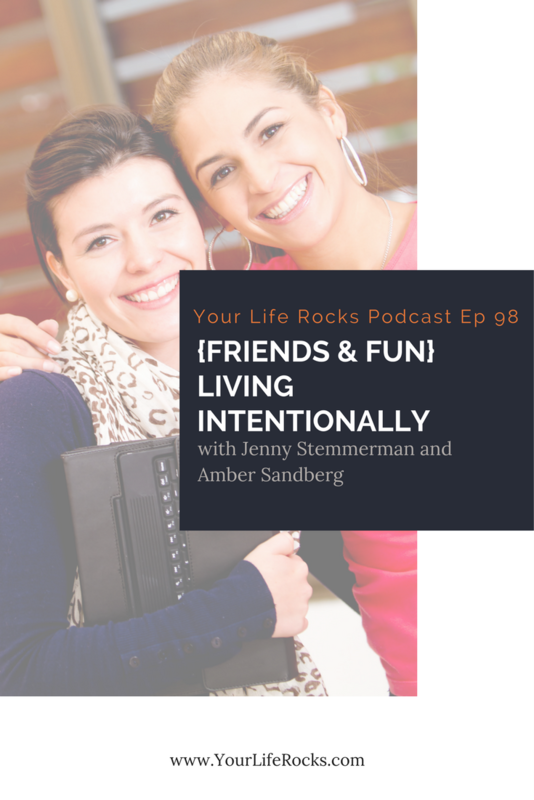 Join me and my friend, Amber Sandberg as we discuss finding friendship as a busy woman, the comparison game that everyone loses, and how to be intentional about creating more fun through travel experiences. Amber is the host of the podcast, The Mom Inspired Show. Every week on the Mom Inspired Show, Amber Sandberg and her guest delve into relevant topics for women including pursuing passions, overcoming battles, and troubleshooting issues that women face. Amber loves to connect with women – especially moms – and encourages them in their authenticity because they are already “good enough.” Be uplifted and inspired. Join the village that seems to be missing in today’s age at the Mom Inspired Show. 2. Maximize your trips….plan to take even a small trip at least once a quarter. 3. Be intentional about the how. We’re talking about time and Money. Planning is everything. I personally use Amber’s Vacation Freedom Planner and if you want to get serious about making this happen for your family, I highly recommend you check it out.